Home / Blog / 20 years Baulito Amsterdam! It is the anniversary of the best known and most wanted bag of Peter Kent. And we are celebrating! It’s a party at Peter Kent. This year her most famous bag, the Baulito Amsterdam, exists 20 years. This iconic and very popular handbag is one of the bestsellers in their collection. Also at Fachera, it is our most sold bag. 20 years Baulito Amsterdam = 20 days > 20% OFF! From Wednesday 13 December untill New Year’s Day 1 January. Huge discount on the Baulito Amsterdam. 3 weeks of celebration, 3 weeks of sale. And again, this "Máxima bag" is very popular. Don’t hesitate! Hurry now, while stock last. As you may already know, Queen Máxima has worn this handbag frequently. Máxima is also a big fan of luxury brand Peter Kent, which has been at the Argentine fashion top for years. That’s why they renamed the Baulito a few years ago into Baulito Amsterdam. WOW! Do you want to shine with this chic handbag? With this elegant bag you will attract a lot of attention when you have a wedding or birthday party, when you go your favorite restaurant, when you walk down the street, during the Holidays or wherever and whenever. And of course you also like to receive all the compliments. 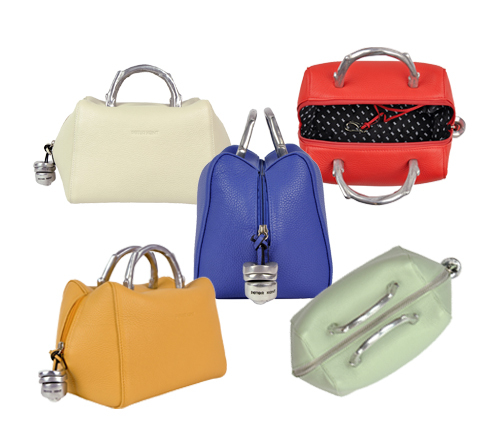 The Baulito Amsterdam is a special handbag and very recognizable by its unique shape and hardware. The distinctive handle and pendant, designed by Argentine artists, immediately catches the eye. The bag really exudes luxury. The leather is of high quality, beautifully grained and it has a lovely soft touch. The finish of the bag is perfect because it is made entirely by hand with a lot of love and passion. A fine piece of Argentine craftsmanship.